IS YOUR CARPET LOOKING TIRED? A full restorative carpet cleaning should take place at least once a year to remove the accumulation of soil build up in higher traffic areas within your facility. Soil is the natural enemy of carpet. Soil attaches itself to sticky residue left behind from things like coffee spills. This soil will remain in the carpet and damage the fibres. Without proper cleaning, the fibre damage will lead to fading, discolouration, matting, fraying and ultimately premature and costly replacement of your carpet. 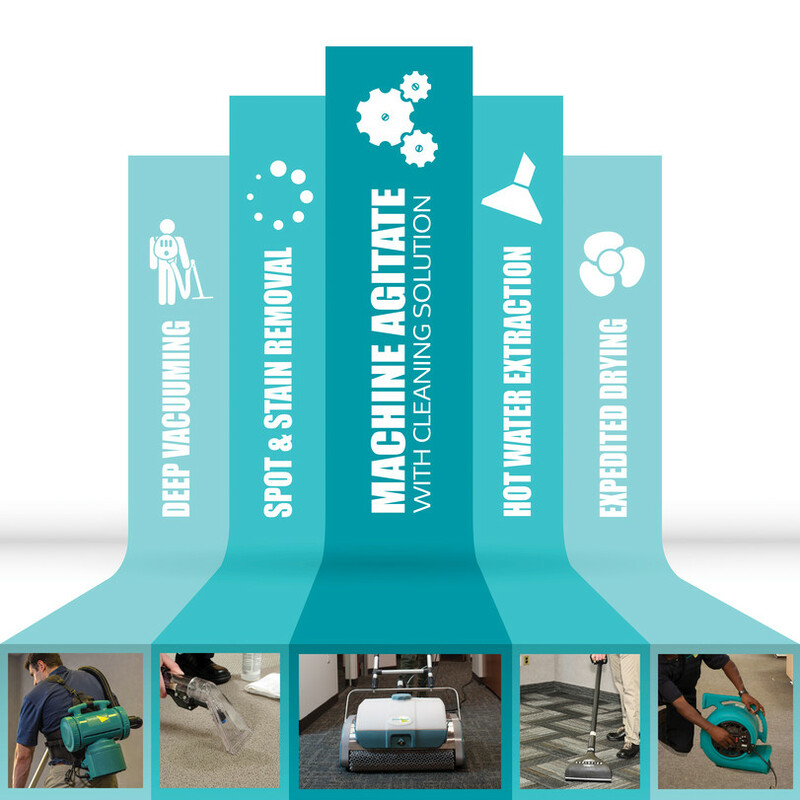 Although a regular carpet maintenance program is ideal to maintain the performance and beauty of your carpet, full restorative carpet cleaning can be effective in lower traffic facilities. ServiceMaster Clean can provide a cleaning program that is right for you using cleaning methods and products that have been tested and refined over our 60 years in the cleaning business.